Wow.......it has been the busiest few weeks in our household....what about yours? As much as I would love to sit down and chat with you all everyday, life seems to get in the way and unfortunately I haven't had work at the forefront of my mind. From our extremely slow progressing ensuite renovations (I'll share updates with you below), to work, to play dates, sick kids, social get togethers and birthdays to everything in between. There really isn't enough time in each day. We have some exciting things and news in the works as well that we will be able to share with you soon, but for now, let's just chit chat and catch up! 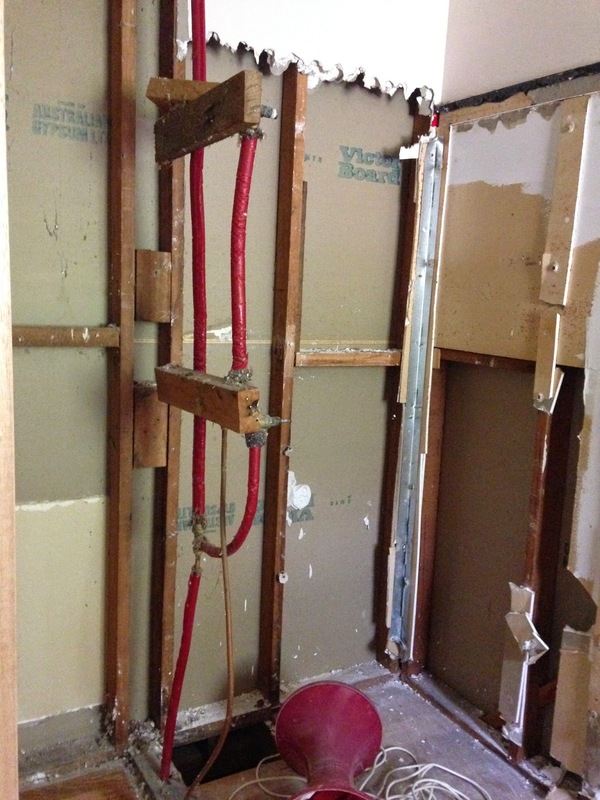 So ensuite renovations as promised. When we do things ourselves they seem to just take forever between the initial demolition which happened a few weeks ago, to the finished product which will happen God knows when. We have been busy putting up waterproof cement sheeting then adding the waterproofing membrane and we just started tiling too. Can't wait for that to happen! Our bedroom has been taken over by our vanity that is just sitting there until it can be hung, together with all of our fixtures and tap ware that are again just having a party together until start work. It will happen......that's what I keep telling myself! 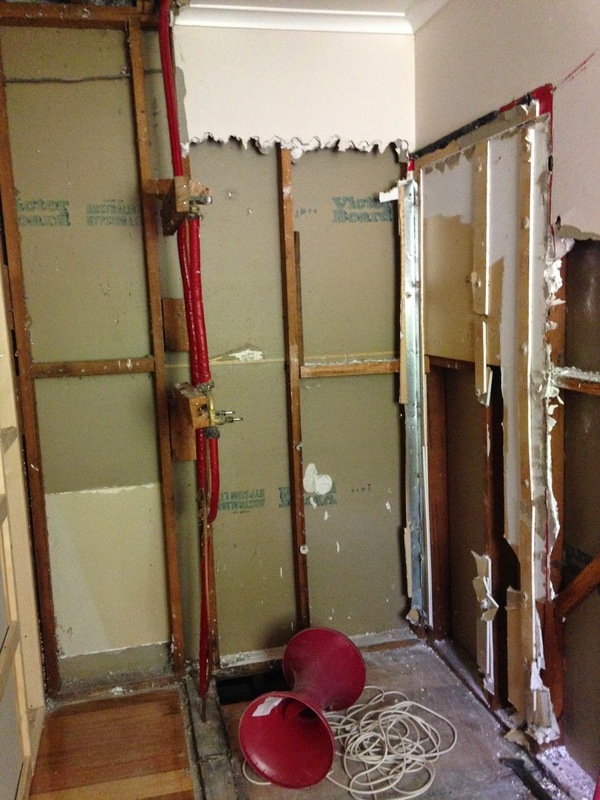 But for now here is our demolition progress. 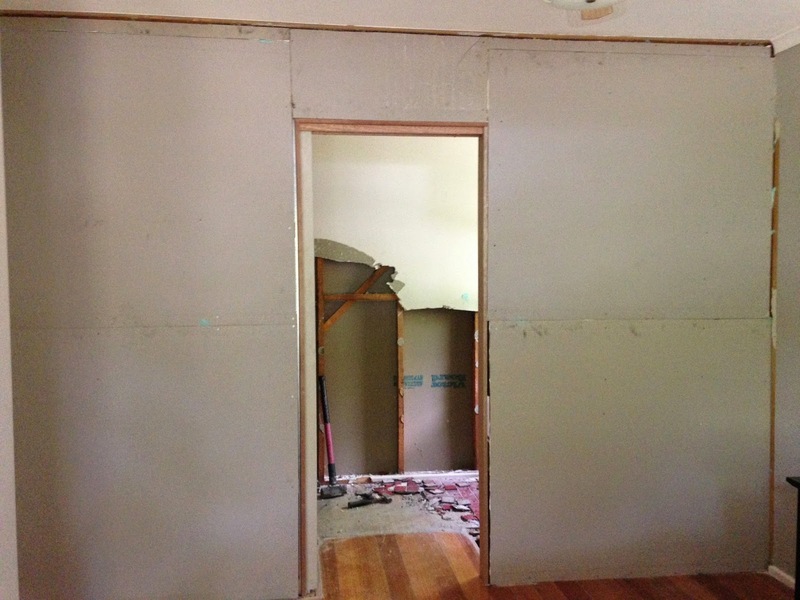 After the inside was gutted we built the wall to separate the ensuite from our bedroom. Luckily that went up quickly, there is no way I was sleeping in a room that had open ceilings and floors! We need to add skirting and cornice and then of course paint the wall, that is still a work in progress. 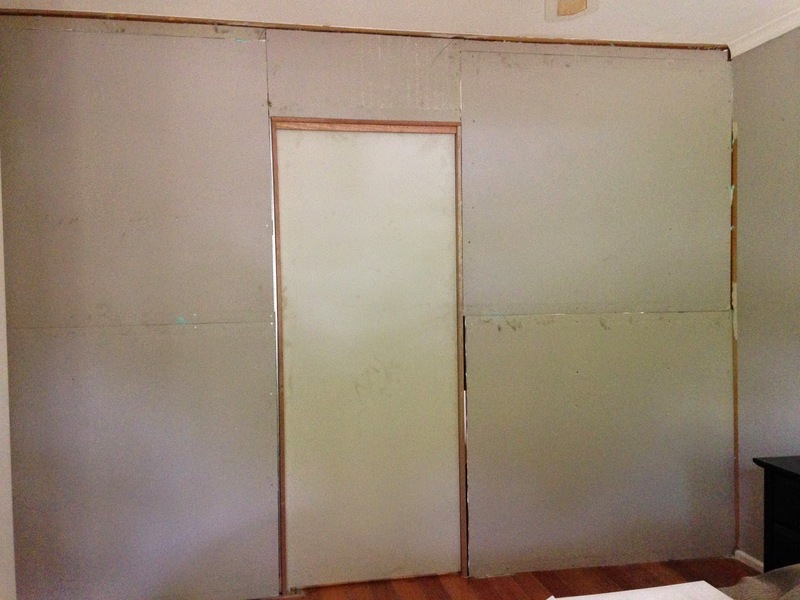 Sadly I didn't get any photos of the empty room with the cement sheeting and waterproofing membrane, but hey....it wouldn't really be a nice photo anyway. 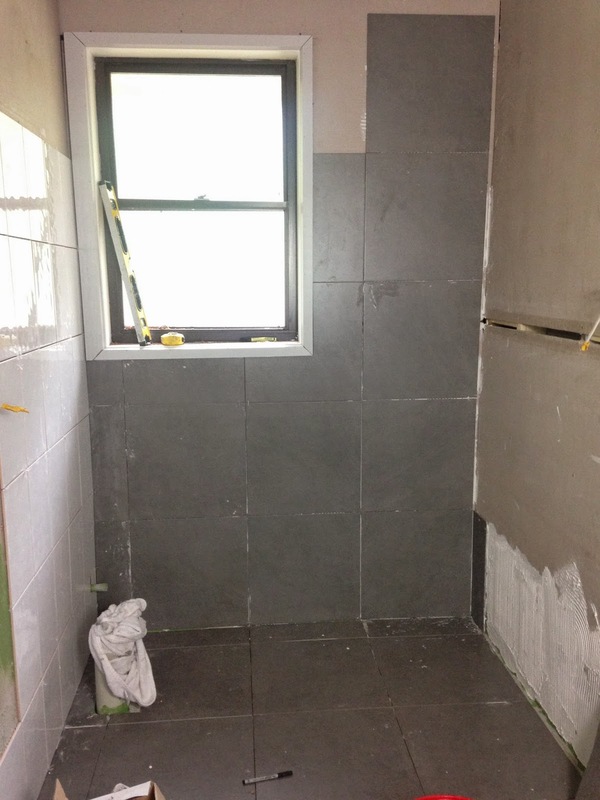 We started tiling over the weekend as well, had a bit of trouble though so it is a slow process. 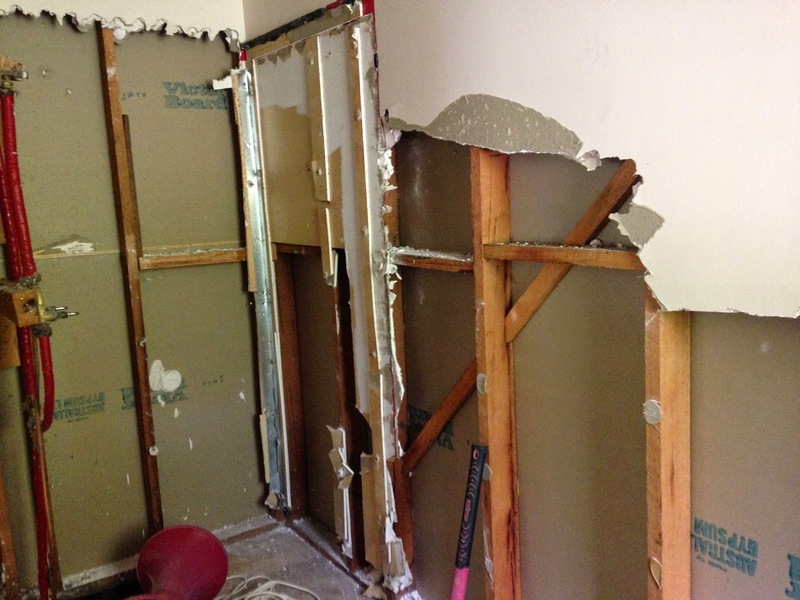 The existing walls are not straight, that happens quite a lot with old houses, and pretty much every bathroom we have ever renovated! 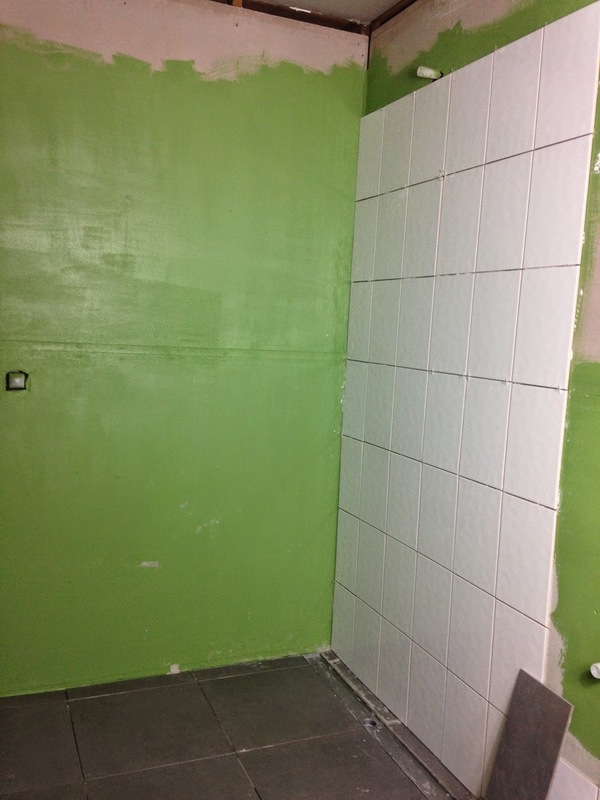 We have had to take our time tiling and attempting to get them as straight and level as possible. Let's just say we are NOT professional tile layers so they will not be perfect. 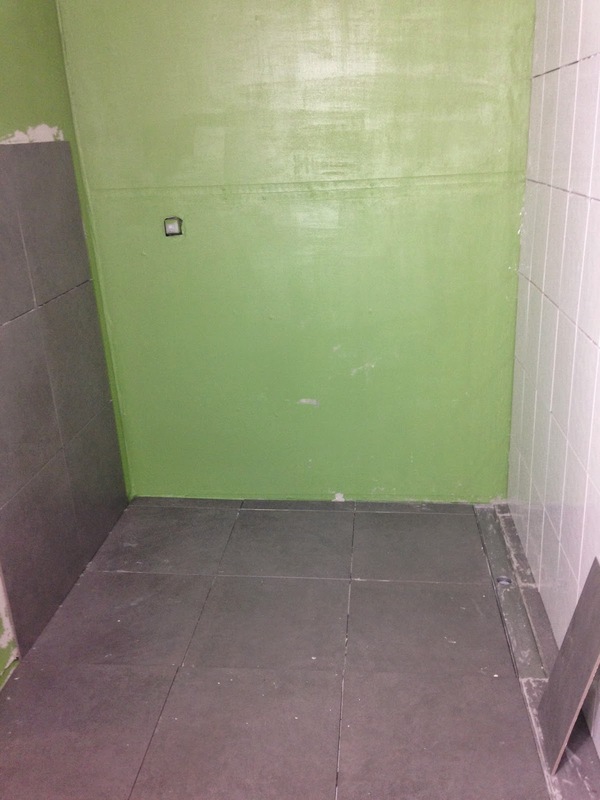 When they are all done and the grout has been finished, if there is a small lean in the tiles, it will barely be noticeable. But I will share those photos with you so you can be the judges. Last week we had plans finalised to build a new house in our backyard!!!! YAY!!!!! I told you we have been busy. We submitted it to council and did the right thing by our neighbours and went and gave them all the heads up. We figured we want to be honest and prepare them for whats to come so why not tell them before they receive that letter in the mail. After all we want our neighbours on our side during this process so the kinder and more honest we are the better. When we did our last subdivision we had constant communication with our neighbours and at the end of the whole process we even dropped off some flowers, chocolates and bottles of wine to our neighbours to thank them for causing such a hassle over a few months. If you want people on your side, chocolates and alcohol will always work! The council that we live in advised that it will take around 8-10 weeks to go through and hopefully be approved, subject of course to any objections. So fingers crossed it only takes 8 weeks and then we can get started on the build straight away. 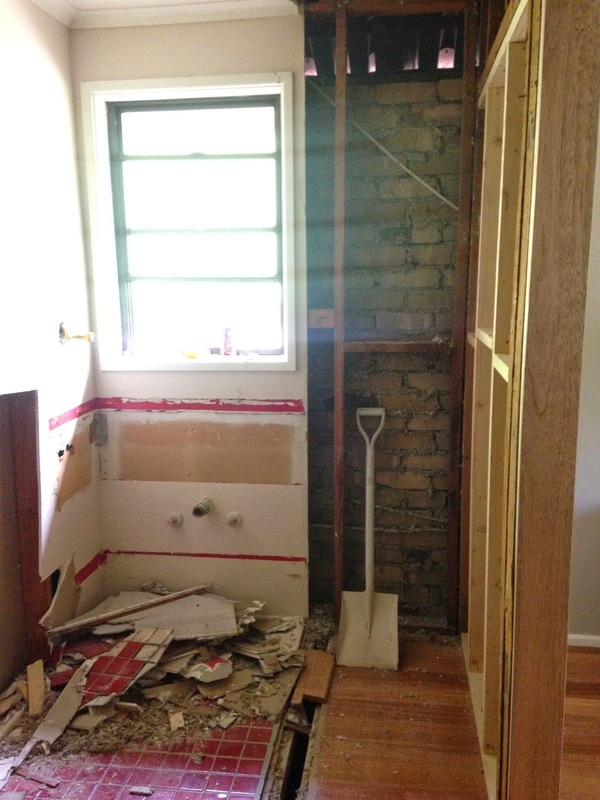 Hopefully we actually finish our ensuite before this happens! We have quite a bit to get organised over the next 8 weeks so I'm sure that will keep me busy. Busy with tasks such as arranging building quotes, fencing quotes, we need to knock down a few trees so getting that done, sorting a complete colour scheme for the new place together with selecting the fixtures and fittings and getting our backyard ready to go. I love the pressure though so bring it on!